I have been attempting to create a blog for some time, but have continued to put it off… until now. This week, I attended EduTECH in Brisbane. For me, the best part of this conference was connecting with teachers from my school. Because we are a large school, we don’t often cross paths with one another. In fact, I had rarely said more than “Hello” to one of these teachers. The two days in Brisbane gave us a chance to chat about what we’re doing in our classes, to compare our thoughts about the presentations and to share our future plans based on our EduTECH experience. It highlighted that within our school, there are so many great things already happening, but that few of us are aware of them. The other great part was the TeachMeet – real classroom teachers sharing what they do best. There is nothing that beats this. How are we preparing our students for this future? Eric Mazur spoke about how assessment is the silent killer of learning. All the way through his presentation, I found myself nodding in agreement. Yet, if I was honest with myself, I would have to say that many of my assessment practices reflect what he says is wrong with our system. Whilst I have been dabbling with some of the improvements he suggested, I still revert back to “traditional methods of assessment” when it comes time for summative assessments. 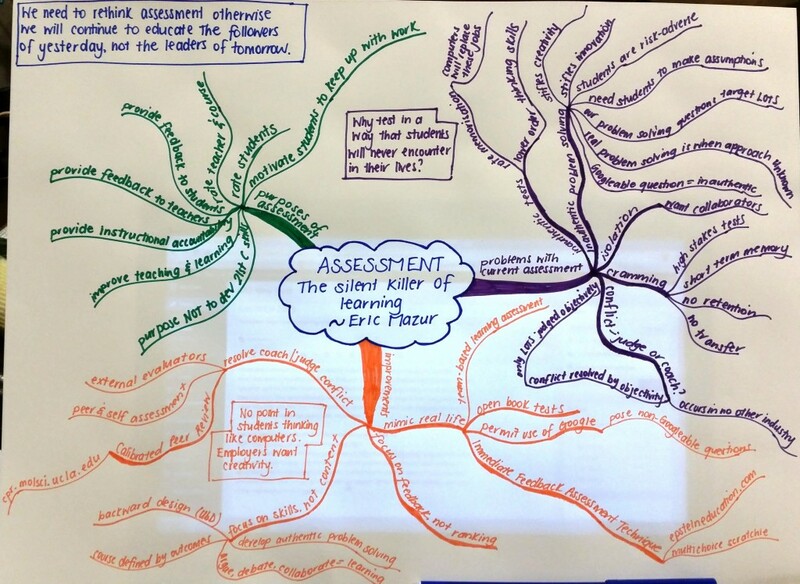 The basic message of Eric’s presentation was that “we must rethink assessment because if we do not rethink our approaches to assessment, we will continue to educate the followers of yesterday rather than the leaders of tomorrow”. Why do we test students in a way that they will never encounter in their lives? How many jobs these days require us to work in complete isolation? We need students to identify problems and identify ways to solve these problems and to do this in collaboration with others. This requires students to develop higher order thinking skills and this is what employers want; computers can do the rest and they can already do it better than us. 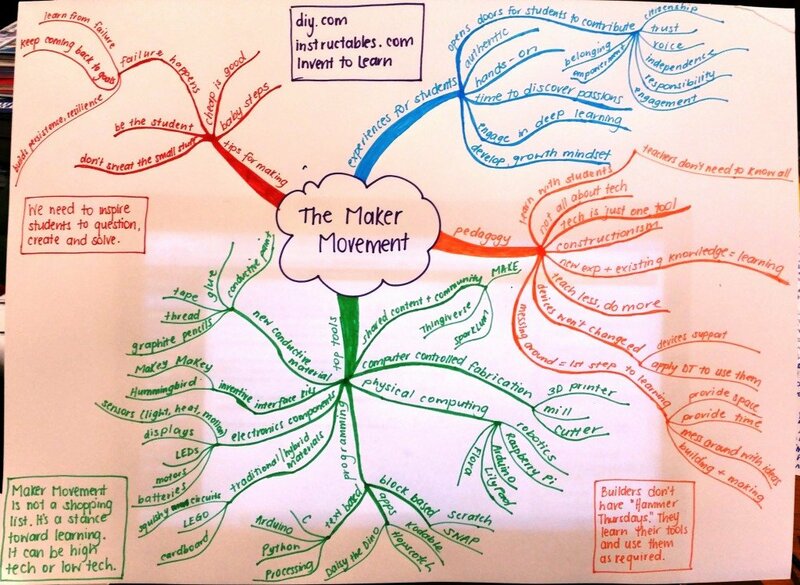 The Maker Movement was quite a big theme (and buzzword) throughout the conference. There was a Maker Lounge in the Exhibition Hall; Super Awesome Sylvia presented her keynote, “Go Out There and Make Something”; Sylvia Libow Martinez presented her keynote, “The Maker Movement: A Global Revolution Goes to School”; Zeina Chalich hosted a seminar called, “‘Pop Up’ Maker Space – How to Create Mobile Maker Experiences through a STEAM Curriculum”; and, Megan Daley and Jackie Child hosted a Breakout Seminar titled, “Library Space Maker Space Tech Space”. To sum it all up, pedagogy should be first, technology should be second. Simple. Technology should not be used just for the sake of it. It is one tool in the toolbox and should be used as required. Builders don’t have “Hammer Thursdays”. They learn their tools and use them as required (Sylvia Libow Martinez). Just like technology in the classroom. We don’t need to throw out everything else that we do. The ‘top tools’ suggested by Martinez and Zeina Chalich include a lot of tech, from robotics to 3D printers to MaKay MaKeys to Scratch. But, they also include traditional materials, such as cardboard. Daley and Child put together Mystery Bags to show us what they provide to students. These included straws, pipe cleaners, washy tape, balloons, Plasticine, bulldog clips, string and beads. It doesn’t all need to be high tech. Part of the pedagogy associated with the Maker Movement is to give students time to mess around, as this is the first step toward learning. They need time and space to play with ideas, and to build and make. They will inevitably fail. But, they will learn from their failures and they will succeed so long as they stay with it. Teachers will probably fail as well, but we don’t need to know everything about everything; we can learn with our students. Everything that the speakers mentioned resonated with me. I can see this type of learning experience suiting many students, particularly those within the context of my school. Now it’s time to consider how I can make this change occur in my classroom. Jacob started her keynote by asking the audience to imagine a student every time we make a decision: everything that we discuss must be in the best interests of that student. We have 19th century structures and a 20th century curriculum. So, how do we meet the needs of our 21st century learners? We need to consider our pedagogy. There is antiquated pedagogy, which should be cut; classical pedagogy, which should be kept; and, contemporary pedagogy, which should be created. Our students need the best of classical and contemporary teaching. We need to consider our learning spaces and ensure that they have a sense of purpose and belonging. We need to think about time as currency. What could we do with different periods of time? Daily schedules should match learners’ needs rather than us working to set time periods. We need to cultivate “right now” personalised learning experiences. We need to shift from inquiry to quests and from subjects to topics. Our students need us to step up. The commercial nature of the event. However, I understand that the speakers aren’t cheap and that the money needs to come from somewhere. You just need to be wary of what is being ‘sold’ and consider everything through a critical lens. Selecting the ‘right’ seminars to attend. With so many different options available, it can be hard to know which seminar is going to be best for you. Next time, I would do a lot more research on who each of the speakers are to see if what they are offering is likely to meet my needs. So far in my short teaching career, there is nothing that has inspired me more than listening to many of the presenters at EduTECH. At a time when I was starting to feel more comfortable in my role, this has made me feel less comfortable – and that’s a good thing according to Jacob. I am excited about the future of my teaching and my classroom. As Claire Amos stated, “when you stop learning is when you should leave the classroom”. I think my students are a little nervous! 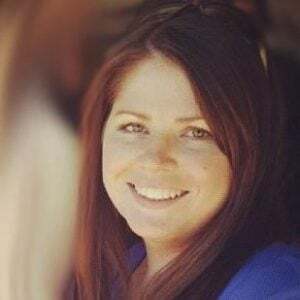 A Primary Years Teacher at a government school in the western suburbs of Adelaide. I am passionate about learning and about helping students to develop their curiosity. I enjoy experimenting with new ideas in the classroom – even when they fail – and I love learning alongside my students. All views are my own and do not reflect my employer.